Which Factors are the Determinants of a Premium Project? With the economic scenario of India reviving after a shady phase of demonetization, there’s a revival of confidence noticeable among the potential homebuyers who are mostly interested in purchasing premium properties in the metropolitan cities of India. To support this growing trend, a lot of developers are venturing into the premium segment that further results in the massive growth of high-end residential flats in and around the city. In fact, many of these properties are so exclusive that they have made a steady place in the list of selected premium projects of the city. 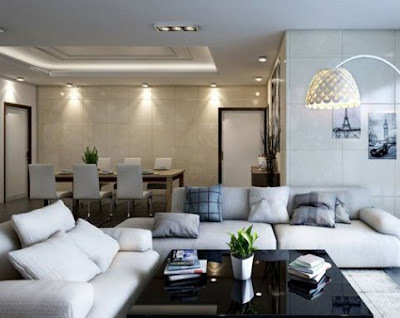 We can take reference of the premium residential apartments in Alipore of Kolkata, in this connection. But, at the same time, we also need to consider the flip side of the story. While the numbers of premium real estate developers are gradually increasing, there’s also no shortage of small builders who are marketing their projects as “luxurious”, in spite of knowing that they do not actually meet the customary norms of premium properties. So, here we come up with a couple of features that are the determinants of the premium project of a metropolitan city. One of the principal determinants of a premium project is certainly its location. It’s not only about a posh locality, but also a couple of other factors that come into play. A strategic location refers to a place which has exceptional connectivity in terms of transport and communication, while keeping you quite close to the basic civic amenities that makes your life hassle free. For example, the upcoming residential projects near Bhawanipore of Kolkata are considered premium on the grounds that it is not marred by issues like traffic congestion, noise and pollution. In fact, the finest quality is defined by a careful balance of connectivity and general ambiance. Nowadays, most of the residential complexes are featured with amenities like swimming pool, club house, children’s playground and more. In fact, these kinds of facilities have somewhat come under the segment of affordable luxury nowadays, but with a premium residential complexes, things are little different. The premium home buyers are actually looking for the best of the things that money can buy. The idea is to buy convenience and not merely a living space. Premium residential projects come with state-of-the-art facilities that usually include landscaped gardens, plush rooms with a series of technically advanced features, smart and highly-equipped kitchen, Wi-Fi facilities, multiple parking, earthquake –resistance features, fast elevators, 24-hour security systems and gymnasiums. Recently, real estate developers are also taking major steps in making their buildings “green” and environment friendly, by providing improved ventilation and indoor environment that’s conducive to the health and wellbeing of residents. All the uber-stylish features are keeping in line with the highest qualities of the premium residential projects. Premium homes are not just about living in comfort but also about staying safe. The top-of-the-line residential projects of the metropolitan cities offer total security to its residents. Hence, the security features of a premium flat include a lot more than mere installation of security grilles over their windows or front door. With a series of electronic monitoring and surveillance system, a top-notch housing project includes all sorts of conceivable safety measures that should be firmly placed in the building. Potential buyers investing in premium homes should ensure that the project is designed by any reputed builder, who has been in the industry for an extended period of time. With a staggering rise of a number of small builders, it’s quite likely that you end up purchasing a house which does not conform to the standards of premium quality projects. So, do a thorough research about the reputation of the builder. Nowadays, you can find a lot of information about the premium builders in the city from online sources. It will help you in the long run. While investing in a premium home, you must check out the specific and verifiable parameters which define quality, class and excellence in the true sense of the term. Summary: There are a couple of factors to consider before you invest in a premium project of a metro city. Take the above-mentioned points into account before you reach for any important decision.